See where we've added it to our pages in this cart. v 1.2.0.1 Tax Report calculation now handles multiple tax zones on one order. 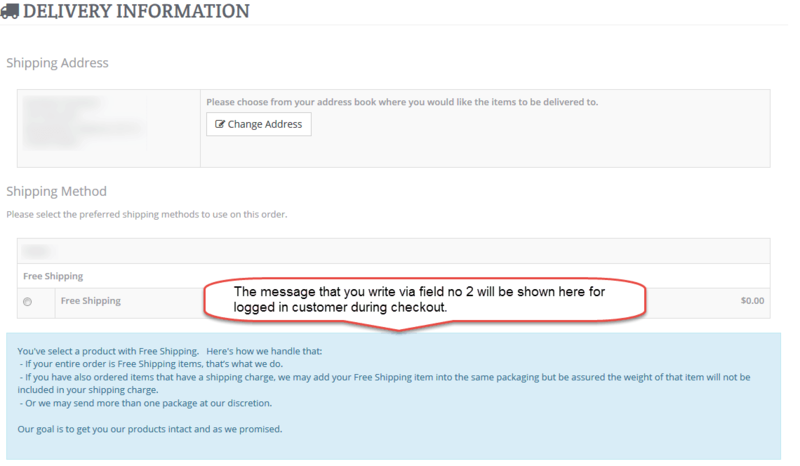 v 1.2.0.1 Align the shipping options in cart detail page. Additional Information: We write our extensions for our clients as part of our managed services. This means our extensions are used daily by a lot of folks and we support and keep all extensions up to date. So if you need an extension from us to enhance your eCommerce site, you will find it works and we keep it working. And we provide ongoing support via our support ticket system, just in case you need a little help. Calendar Extension for AbanteCart eCommerce sites using v1.2.0 - v 1.2.5 (Default template only). The Calendar link is added to the Content Footer Block. 6. Has Signature Option feature for services not where they are optional. Also allows you to set a minimum cart total before the option is used. Constant Contact Integration Extension for AbanteCart – enables you to have two way sync between Constant Contact List and Cart Newsletter List. Keep synchronized between Constant Contact List and Cart newsletter list. - You're using Constant Contact generated form as the signup form. You need a Constant Contact account to use this extension. Signup form that comes with the extension - You can add additional information above and/or below your signup form display area using the Content tab. This uses the standard block editor, one for each section; top content and bottom content. Or configure a custom form within your Constant Contact account. Additional Information: We write our extensions for our clients as part of our managed services. This means our extensions are used daily by a lot of folks and we support and keep all extensions up to date. So if you need an extension from us to enhance your eCommerce site, you will find it works and we keep it working. We also provide ongoing support via our support ticket system, just in case you need a little help. This extension helps you to change multiple product base price at the same time. Ideal to use if a supplier has a price change over an entire line or you need to increase or reduce your pricing point a on number of products. -Filter products by categories, manufacturers or both of them at the same time. -Use Multiple Price Changer to do manual price changes also. Either to alter a calculated change or to make manual price changes quicker. -The extension also will automatically create a backup file so you can anytime restore the previous or original base price. Read the Manual For more details, and the latest info on versions, FAQs, etc. 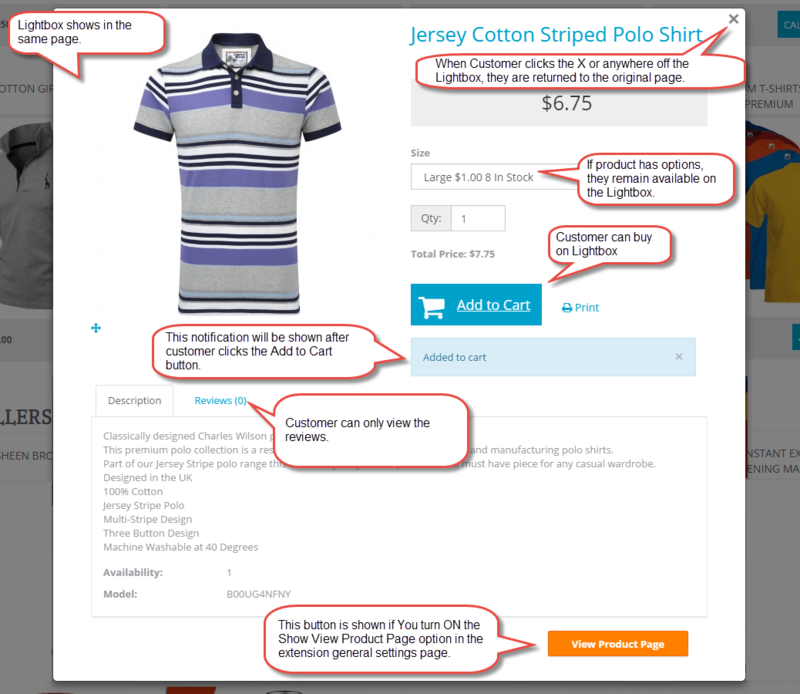 This extension will let customer view the product in Lightbox and directly order without the need to open up the product page. Adds a Quick View on home page, categories pages, product search results, manufacturers listing, and product specials page. 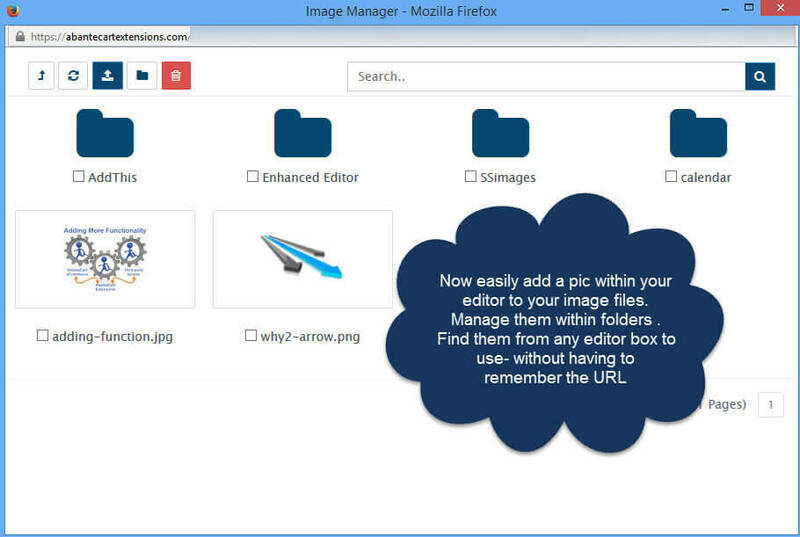 Includes optional display of Lightbox to allow for rounded corners and optional border colors and border width. Our extensions are developed and tested to work with unmodified AbanteCart installations. We also ensure all our extensions work with each other without conflict. File Modification: If you require support and have modified any files or have other (non-WHY2) extensions please tell us about these, we will do our best to solve your issues to use our extensions or instruct you in the necessary changes that need to be made. But our responsibility is limited to best effort. Please check the manual (link in every extension) for any known conflicts with other non-WHY2 extensions and how to resolve them. on EACH of the Product Summary pages. This extension adds great functionality and customer messaging to your product. 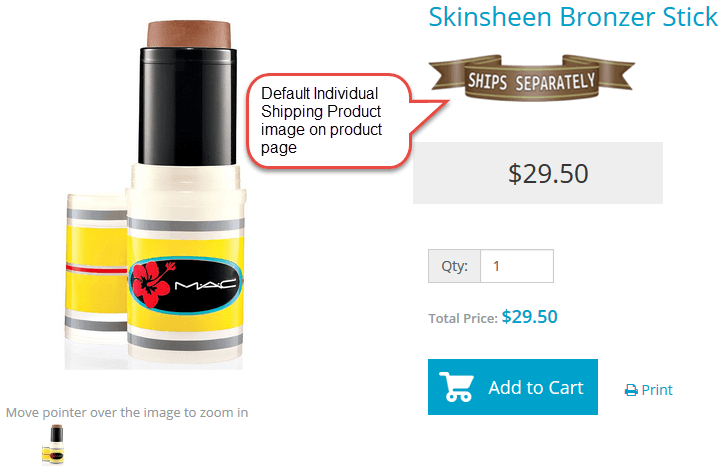 Add an information image to your product that will be shown on the Home Page. Adds your informational image to products in your category pages, also. 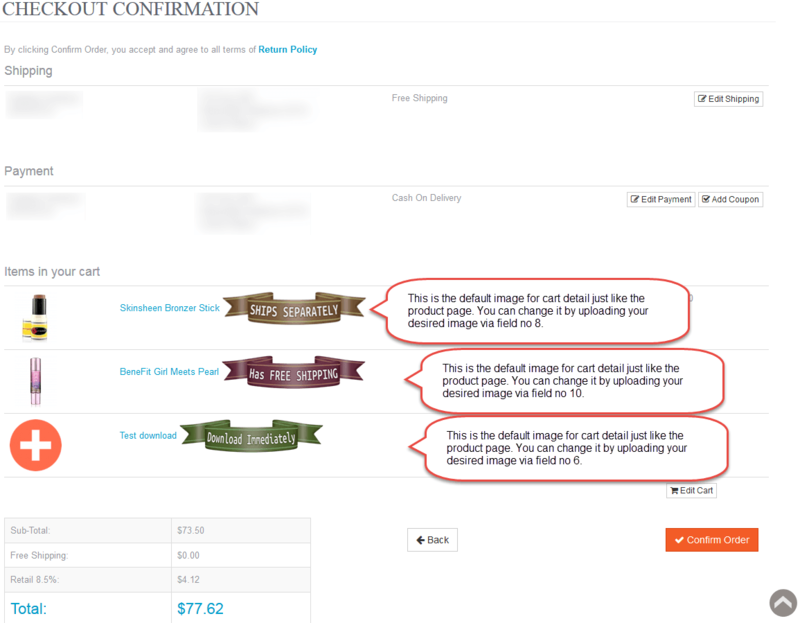 Add an information image that will be shown in the cart detail pane, and on the checkout confirmation page. 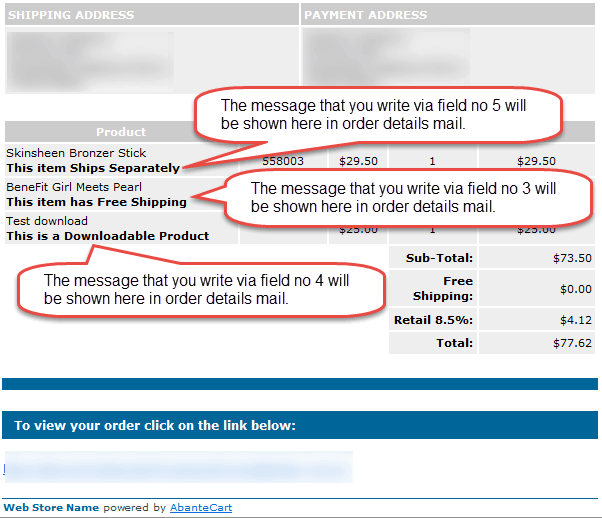 used on the order confirmation email. And it will stay with that order into their account history. Have an order with some products with shipping and some not? what happens when you have a multiple shipping order. The default-UPS that comes with the AbanteCart install works for a lot of businesses. But for our managed clients who had special needs we needed a more robust solution. UPS Integration: an enhanced UPS extension that supports all rates, including Dimensional Weight, Billable Weight, and Oversize Package Surcharges.Shipper changes in their requirements are updated prior to implementation so your extension keeps working. 5. Uses UPS address verification system to determine residential or commercial rate lookup on the checkout out page. An enhanced USPS extension that supports all rates, including Dimensional Weight, Balloon, and Oversize Package Surcharges. Shipper changes in their requirements are updated prior to implementation so your extension keeps working.